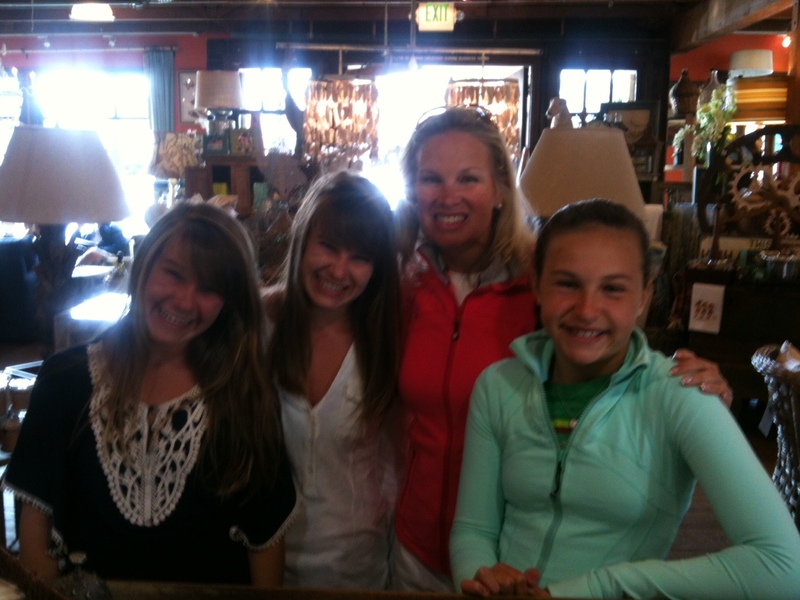 Here are some great snapshots from the store of our happy customers. 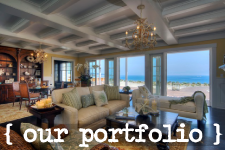 Come on by and join the fun!! Nell & Phoebe love their Tuvalu T.R.E.A.Ts ! Barbara, Roni, Alexandra and Samantha from Winnetka. We snapped their shot cause mom said all of our stuff makes them happy!! 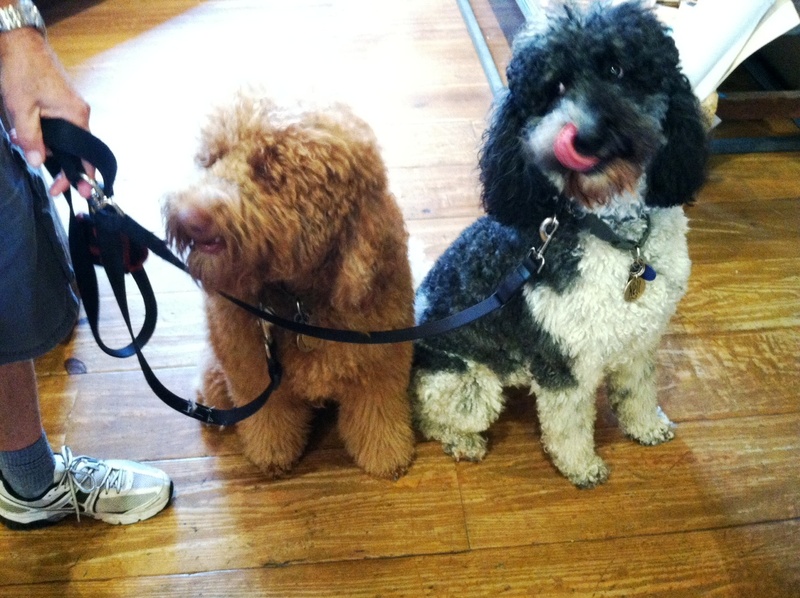 We love our canine customers too! 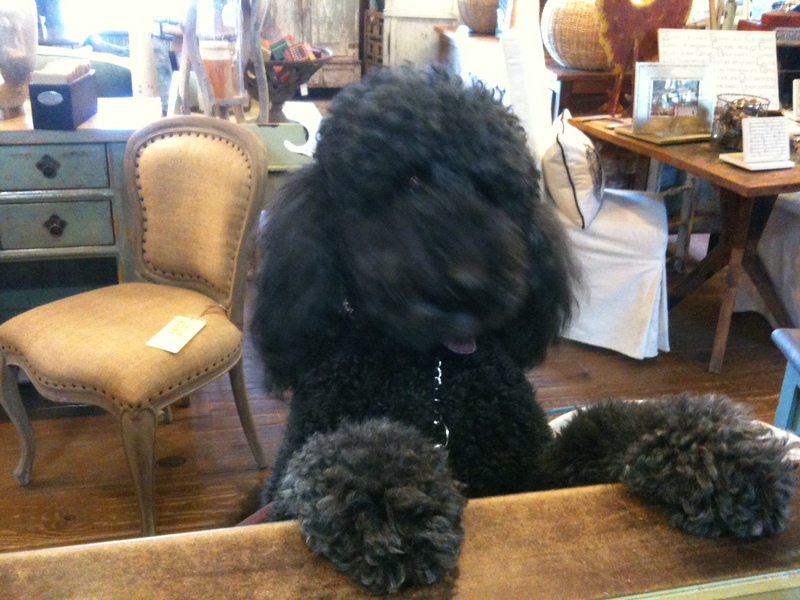 Cali the poodle likes to come to our front counter and greet us with a slobbery smile. He knows we always have treats! 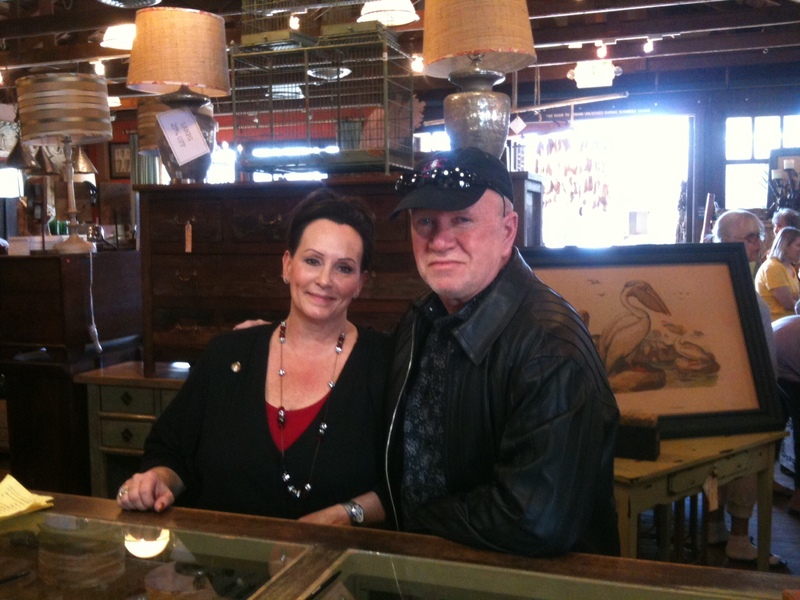 This lucky couple from Texas snagged one of our gorgeous, oversized carved mirrors at our storewide sale this March. 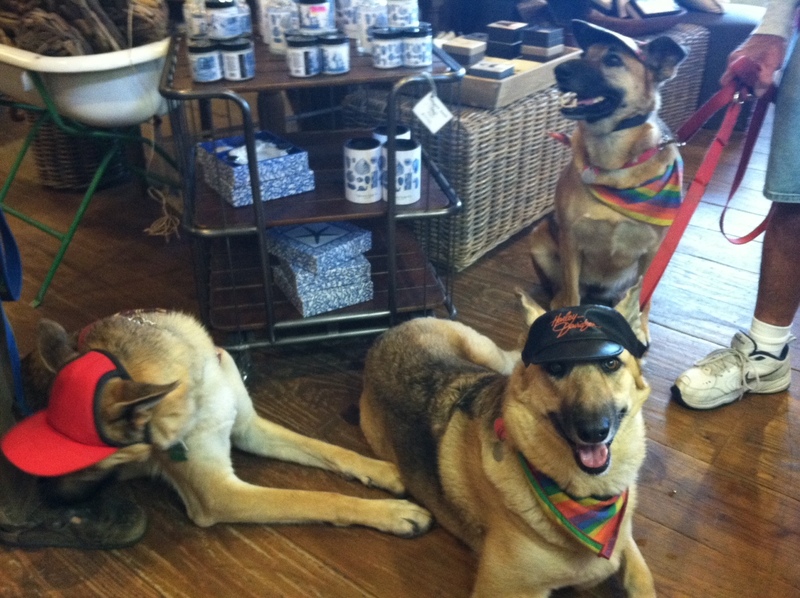 These boys came dressed in their favorite visors and scarves! 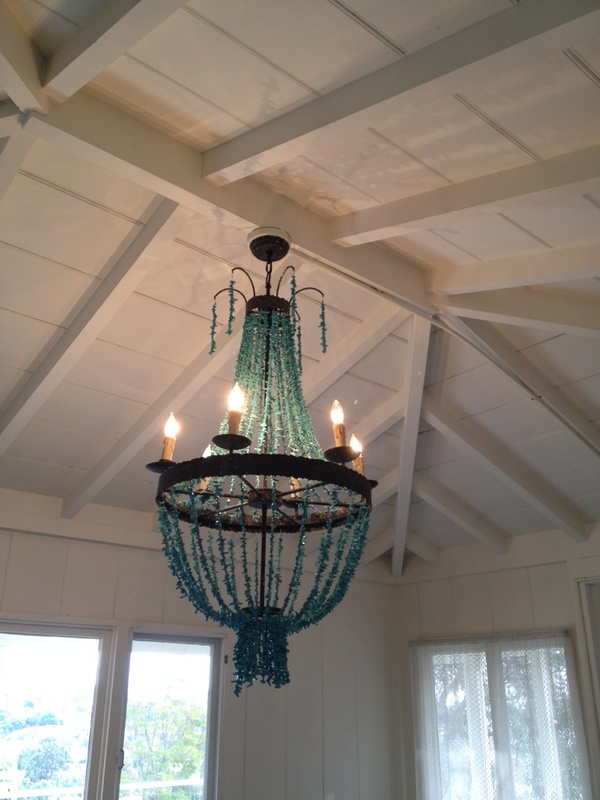 One of our turquoise chandeliers feels at home in a local beach cottage – looks so good against the white walls! 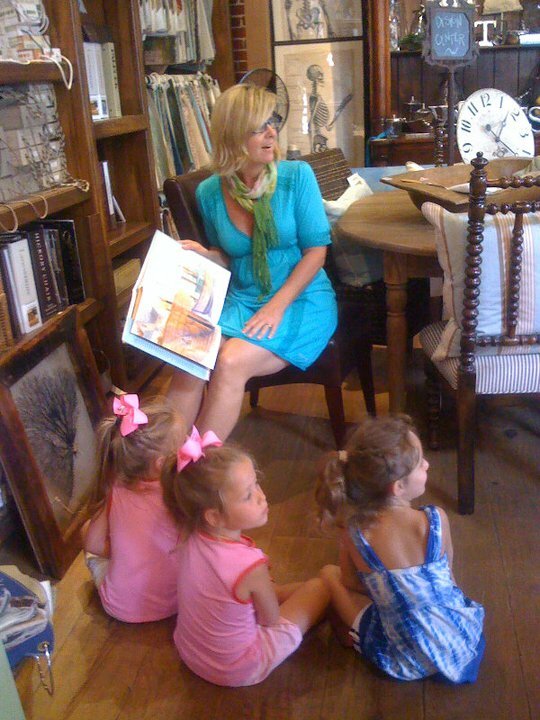 Laurie, our owner, reading to some sweet customers!